Not a huge amount of travelling in my first session. To be honest, I have working out how best to log my findings and fiddling the the bog. As this was partially covered in the previous post, I wont add too much more here. I did discover what I thought was a bug though and reported it here. After the replies though I am now a bit confused as to whether there is a problem or not. It would seem that there is a known problem regarding this, however, as pointed out, some people seem to explore a few planets in a system and not others, making long distance jaunts between the bodies and missing out the shorter jaunts, which I find a little odd. It was this that has prompted me to take some basic notes on what has already been discovered so that I can cross check when I return. During this second day of travelling, I have found my first system which has not been discovered yet. 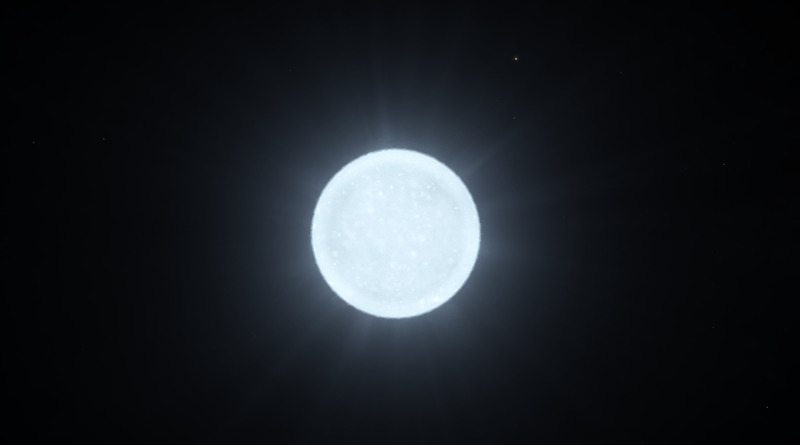 This is a bit of surprise to me as I would have thought that less than 1k Ly out most systems would have been visited by now, and even if the whole system had not been discovered, the sun had. 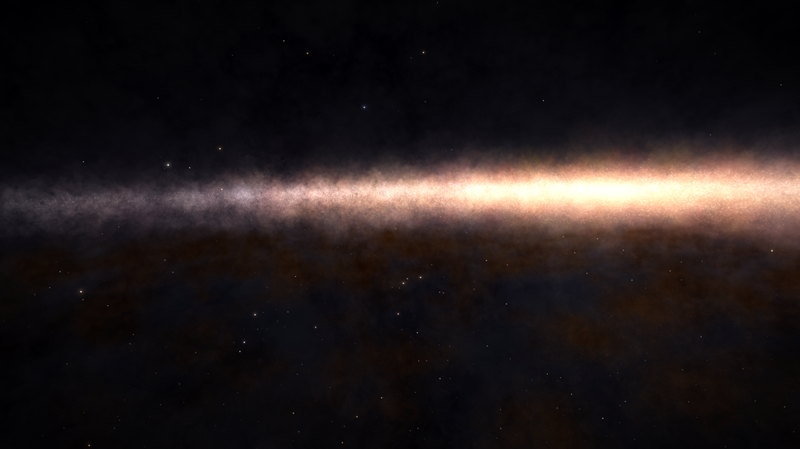 Although I am not very far away from the bubble, just a total of 840 odd Ly out, the view of the Galaxy core is now becoming noticeably different, as you can see below. I have finished crossing the COL 285 field of systems and now entered the Wredguia. I came across this dwarf star that had a really massive set of rings surrounding it. 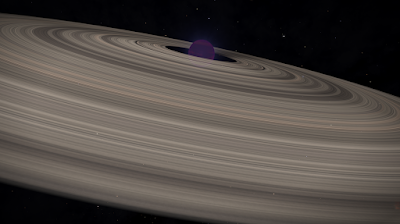 Perhaps one of the largest ring systems around a sun that I have seen so far. 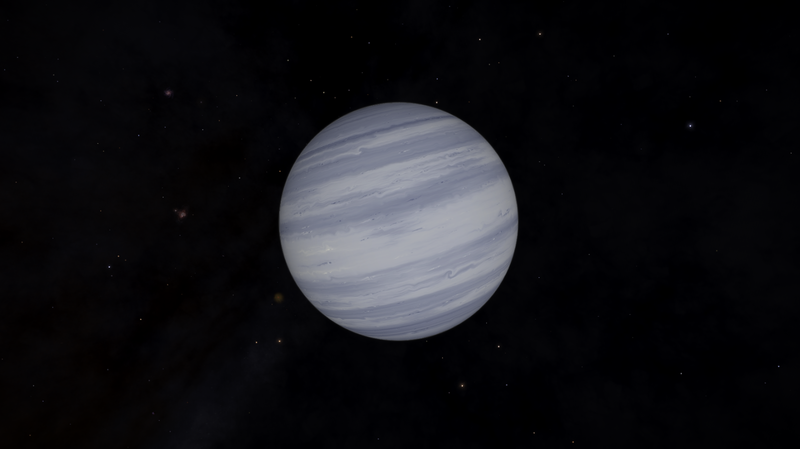 This following picture shows a Gas Giant, that for some reason, I found quite peaceful to look at. I think I was drawn to it by the colours. Although a pretty much nondescript set of greys, it still looks very good. So this has been added to one of special sights on this trip. 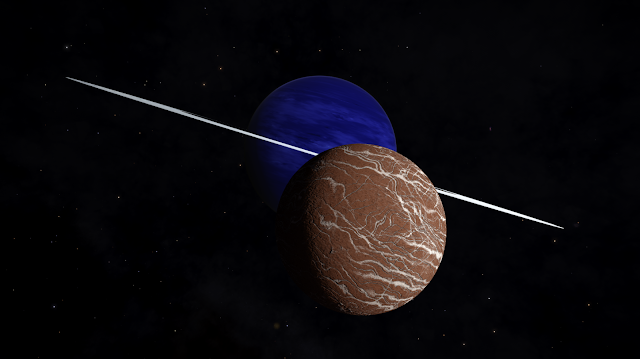 More pretty planets with stunning colour combinations. 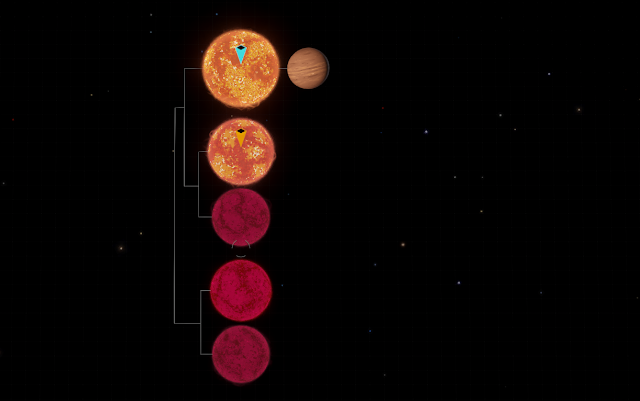 A system with many more suns than planets. And finally... One of the brightest stars I have come across so far. It was so bright, it lit up my keyboard and most probably made me look quite pale. I didn't get too close to take a picture, as it was beginning to become a bit of a strain on the eyes. Perhaps I should had put on some sunglasses!